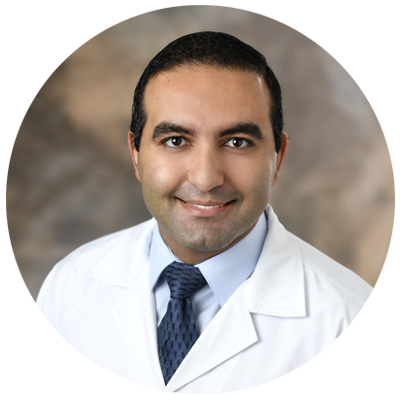 Dr. Shady Guirguis is trained in the care of patients with liver disease and those in need of liver transplantation. His clinical specialties include advanced hepatology, liver transplantation and endoscopy. Dr. Guirguis completed his internal medicine residency at Lincoln Medical Center in New York. He went on to complete a fellowship in advanced hepatology and liver transplantation at Thomas Jefferson University Hospital in Philadelphia where his training also included upper and lower full-luminal endoscopy methods. Dr. Guirguis sees patients both pre and post-transplant to ensure proper healing is taking place. He is a member of the American College of Gastroenterology, the American College of Physicians and the American Association for Study of Liver Diseases. Dr. Shady Guirguis is trained in the care of patients with liver disease and those in need of liver transplantation. He completed his internal medicine residency at Lincoln Medical Center in New York. He went on to complete a fellowship in advanced hepatology and liver transplantation at Thomas Jefferson University Hospital in Philadelphia, where his training also included upper and lower full-luminal endoscopy methods. He is a member of the American College of Gastroenterology, the American College of Physicians and the American Association for Study of Liver Diseases. Advanced hepatology, liver transplantation, and endoscopy.